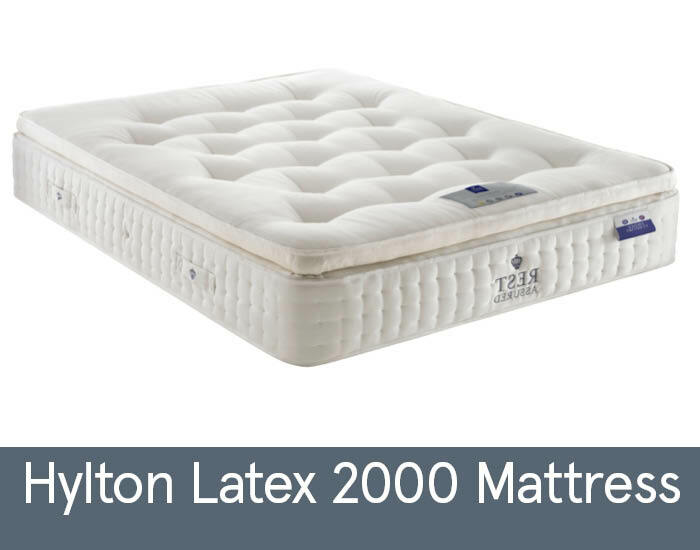 The Hylton handmade mattress features 2000 zoned pocket springs with a luxurious pillow top, offering superb comfort. The latex comfort filling is durable and responsive, which allows for a more undisturbed sleeping experience as it aids free movement through the night. The zoned pocket 2000-spring support unit contours to your individual body shape for superior spinal support, supporting your back and posture in a natural and healthy way. Beautifully embroidered handles allow for easy turning and rotation. It also comes hand-tufted for long lasting comfort. All the products have been rigorously tested for safety and quality to meet the highest British standards in our SATRA and BSI accredited lab. So you can sleep safe in the knowledge that your new mattress meets all British safety, quality and flammability standards.